This past Sunday evening I had the opportunity to preach again at the Episcopal church (that I have shared about previously). It was a good worship experience. Whenever I have the opportunity to preach the worship begins the first time I read the assigned text. It’s a process for me that I can only describe as being pregnant and giving birth. I get the first “news” of the text and then I nurture it the best I can and wait as it percolates and begins to take shape. This developing embryo is attached firmly in my brain and heart 24/7. Everything I see, hear, and feel becomes food for the developing message. In my daily activities it will “kick” and I will have to stop and jot down a note, or look something up. It’s always speaking to me, right there under the surface. And then, at some point, it demands my full attention and the whole process begins to feel like giving birth. There is always a point in which I want to give up on the whole process. I remember feeling that way when I was about to give birth to my daughter. There was a moment when I wanted to get up and go home and do this whole delivery thing another day. A moment when I knew it was going to get a lot more intense and I just didn’t know if I had what it would take to see it through. And yet, of course, there was no turning back. This was my baby to give birth to. And so is whatever message God puts on my heart. Predictably, there’s a moment when all of the little demon voices come out and say, “You don’t have it right. Never have. Never will. How the hell did you ever think you could stand up in front of people and speak? You are not a public speaker. This time you will fail.” And they are right. I have never had it right, nor will I ever. And I am not a public speaker. I still shudder in shame at some of my attempts to be an officer in school parent teacher associations. Whenever I had to stand up and talk my hands would shake. And sweat. My voice would quiver. And it was obvious from the looks on the other women’s faces that I was definitely uncool. It’s funny but, as I think of it now, these were always jobs I took on because someone asked me to, never because I felt called to do them. I just didn’t know how to say no back then. I wanted to at least seem cool. Like the cool ones did. But, thankfully, that’s not what preaching is about. Being cool. Although I fear that many of us, including me, forget that from time to time. There’s a lot of pressure in churches today to entertain, be funny, and make ‘em cry. Oh yes, and get the message across. That’s why the voices…aka doubts…are so instructional. When I hear those doubts creeping in to the process I know I’m at the point where I have to give it up, completely surrender. No matter how strongly the urge to run away from it, I have to quit trying and simply let the message take hold of me. That’s why I don’t preach with a manuscript. It would be too easy to depend on myself (and my ability to read) and not on God. But, this message after all is not mine but God’s. It’s simply my voice, body, and personality that are being used as the cracked vessel of grace. A flawed human being entrusted with a few words of the divine. And my mission, if I so choose to accept it, is to surrender and live into it. Now, I am not knocking preaching from a manuscript. Not in the least. And I realize I open myself up to criticism for not using one. Some might say it is lazy. Too much like shooting from the hip, being careless with sacred texts. And there is always the danger of wandering off the road and losing people along the way. We’ve probably all listened to those messages that were a combination of rambling and rant. There is always that danger of falling into the ditch. And, that is a fear I carry with me. Every time. No, it’s not because I think I am good at this. But it is a calling. It is my purpose. It is my act of worship. And I think every act of worship begins when we surrender our agendas and let go of what we can do in trust of what God will do. And, so far, I have never taken that leap of faith that God hasn’t been right there to carry me, and us, through to the other side. I’m always amazed at how fun it is in the moment. Like the moment I first looked at my daughter, all messy and red, and I saw beauty and eternity, and felt an incomparable joy. In preaching, there is a wholeness that I experience in being a part of the body, a fellow seeker of God’s encouragement for the journey. 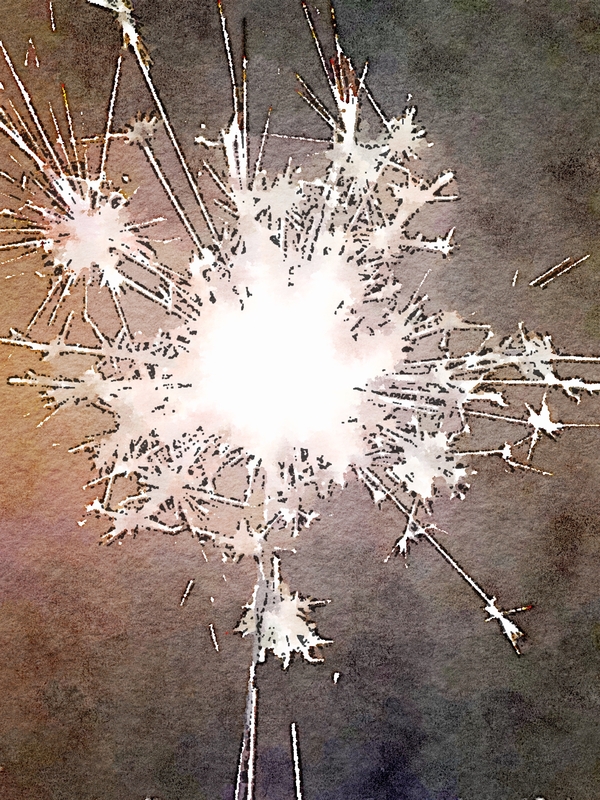 I fail at words to adequately describe it but, the closest I can get… like experiencing fireworks in my heart. It doesn’t matter if there are a thousand people in the congregation or twelve. It just doesn’t matter. Sometimes I’m conscious of time stopping and of all time being held in that moment. Sometimes I forget about time altogether. I feel completely alive. Now, why in the world would I write about this? Seems so self-centered. Ego driven. Maybe so. I don’t know. Kind of nervy for an out of work preacher, right? How good of a preacher can I be if I’m out of work? Maybe that’s the point. Maybe the message that God has given me today is just this. I’m not the exception to the rule. We all have a unique and wonderful purpose that God has placed in our hearts. (Even if you don’t believe in God, God still believes in you.) It may have something to do with what you do for income. If so, be thankful! Or, it may not at all. But there is something for you to do, or that you can’t help but want to do, that does, or would, bring you joy. It’s something that when you do it you lose track of time. You feel whole. And it’s always something that is self-giving, that moves beyond you for the greater good. Something that says you are participating in something bigger than your own self. A contributing part of the whole. It’s always something that can have the effect of encouraging someone else. And since it is from God, it is something that empowers others to see something in themselves. Something that pulls them forward in their own calling. And here’s the thing. You may be reading this and thinking that you are the exception. That you have nothing to offer the greater good. Or, that you couldn’t care less about the greater good. That there is no purpose, other than surviving for another day. But, there is absolutely no exception. We each have a thing planted in us that is a piece of God’s image. A divine spark. And in that spark is held purpose. We can ignore it, deny it, and even try to cover it up. But it can never be extinguished. Because it is from God. Is of God. It doesn’t matter who you are, because it matters to God that you are. It doesn’t matter if it manifests itself in big things or little, it only matters that it’s there as a gift. For you. To use. It begs to be nurtured, developed. It requires surrender. Because it’s only in the surrender that we gain the freedom to live it. Sounds scary doesn’t it. Good scary? Compelling scary? Hmmm…now we’re getting somewhere. This entry was posted in Career path, Faith, Lessons Learned, life purpose, Spirituality, Uncategorized, unconditional love and tagged God's love, grace, life, purpose, trust, vulnerability. Bookmark the permalink. My dear friend! I have only heard you preach once: at your own father’s funeral. Your words of love and your pride in your father have stayed with me for years and years. When I heard you speak, I knew you had a gift, and everyone who heard you that day knew it too. Take care and keep “bringing” the Word. Thanks so much for reading it, Mark, and for your kind words. And for the invitation to preach! Jane, this is beautiful. I am so grateful for the calm, peaceful confidence of these words. Your faith gives me hope. I love you friend. Thanks for reading it, Cameron. Love you back!